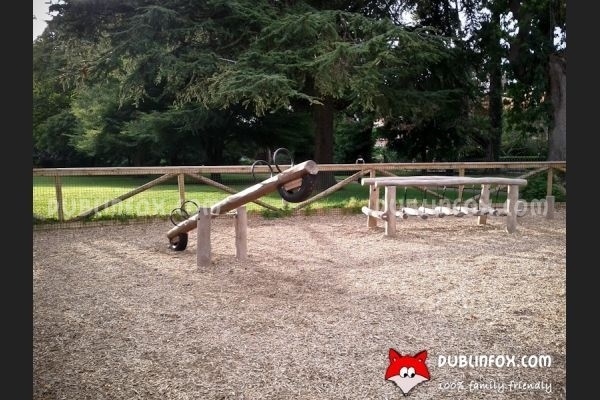 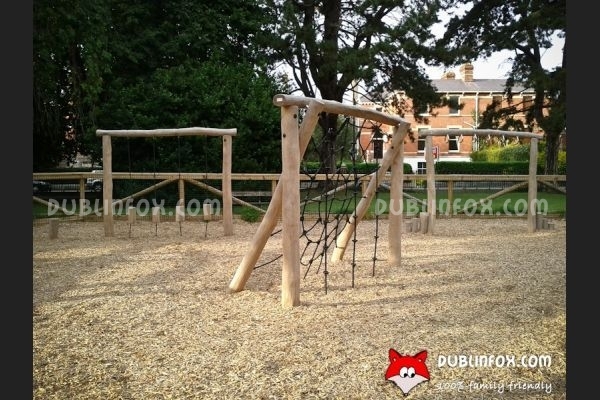 Palmerston Park is one of the finest parks in Rathmines. 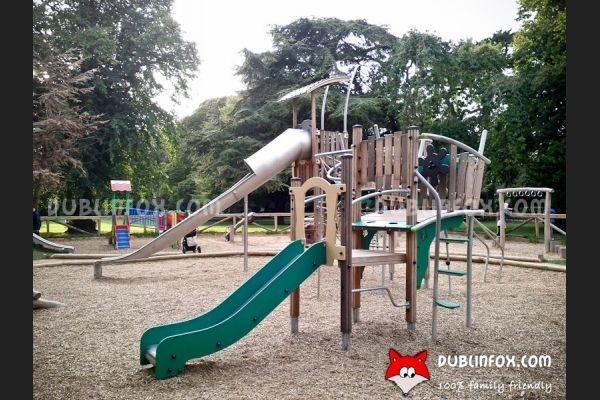 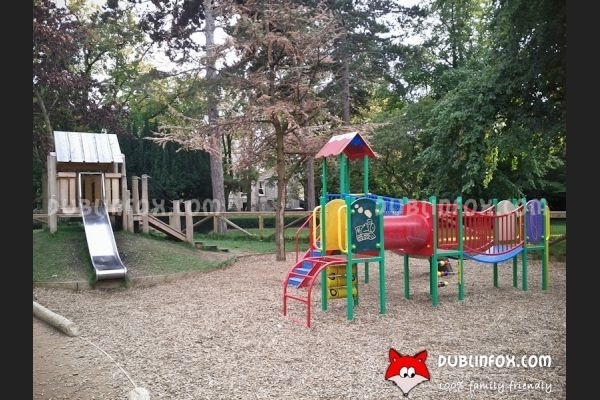 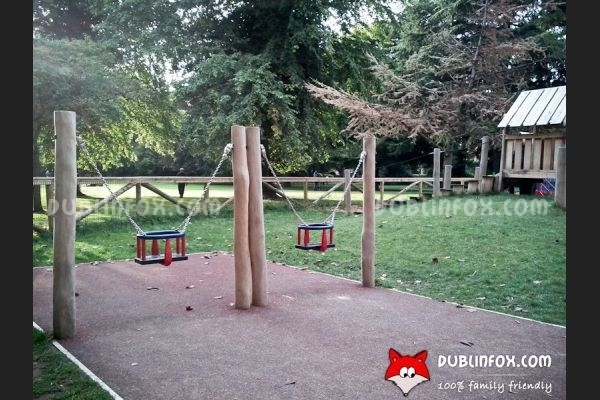 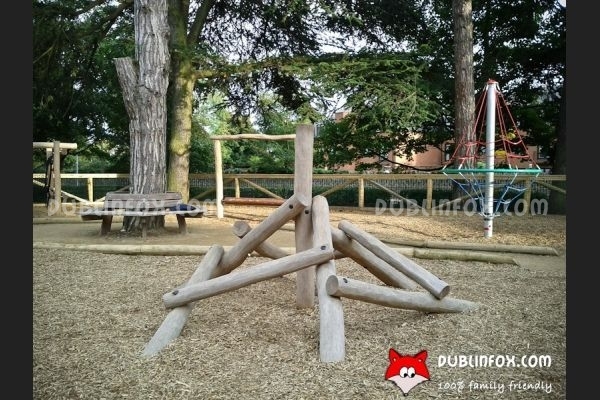 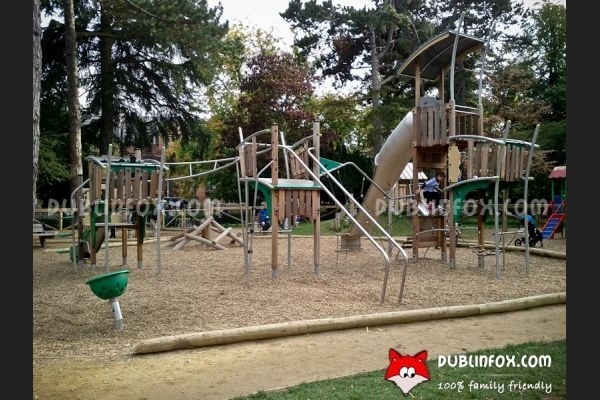 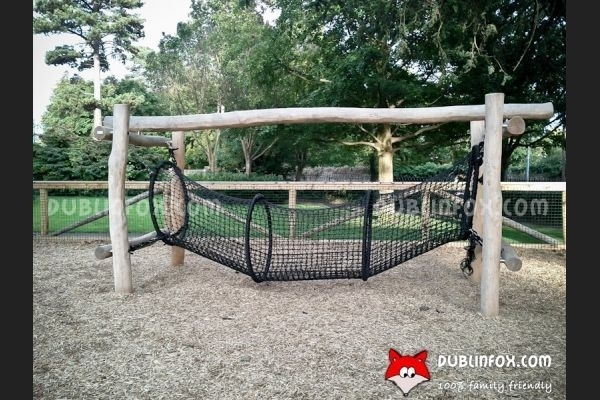 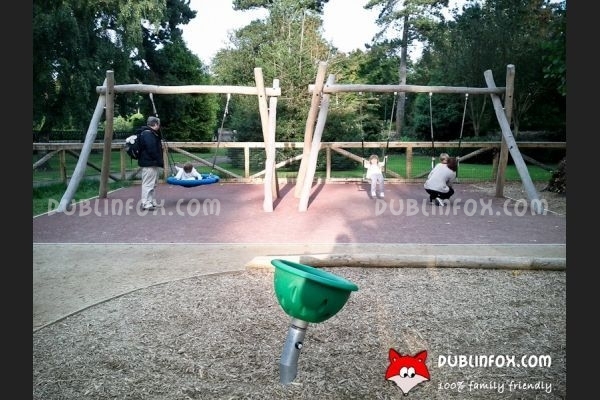 The playground is brand new and its wooden play equipment is suitable for all ages and abilities. 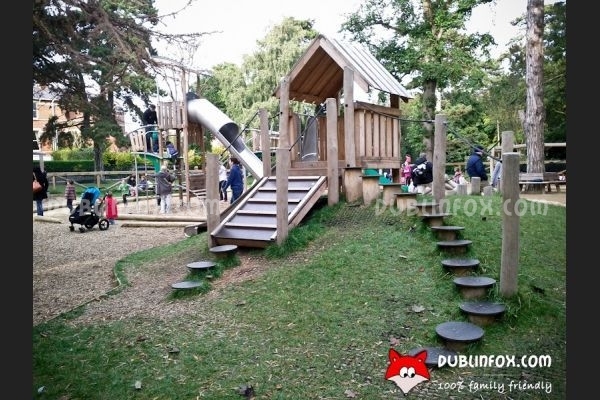 There are swings, slides, balancing structures and a unique net tunnel for toddlers, while older kids might challenge their physical skills using the different multi play units, climbing structures and monkey bars. 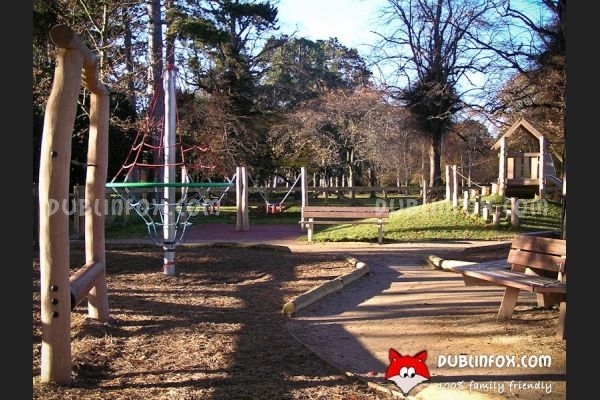 The park surrounding the playground is small, but very well-kept: after visiting the playground it is a good idea to play frisbee or have a picnic in the green. 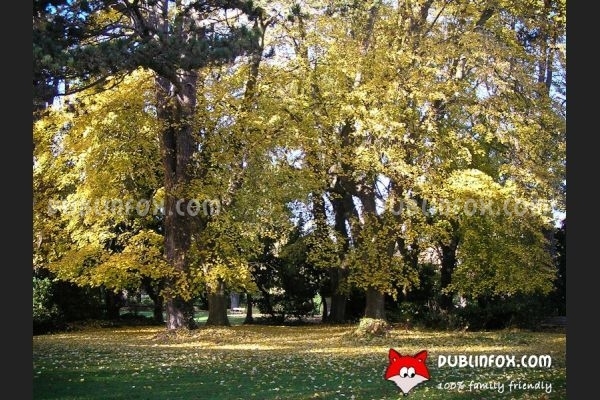 Click here to open Palmerston Park's website in a new window.